My wife was the catalyst for this psychological tactic. She’s been a bit grumpy lately, a bit overwhelmed. When I gave her a hug she said: “I wish I could just update myself.” What a brilliant idea! We live in a world of Apps these days – they’re everywhere and will probably outnumber websites soon. We have all seen the little red dot on our settings icon or App Store icon and we know that it could mean our software will improve as will the performance of our technology. Step Three – press the imaginary dot and imagine you see a drop down menu with those traits listed. Beside each word is a box with the word ‘Update‘ in it. Press each box one after the other and wait for a moment. While you’re waiting imagine you can see each circular progress bar turning until you see the words ‘Update Successful‘ in each. I’d love to know how you get on with this so please come back and leave a message. For those of you that aren’t familiar with Mark Homer, he is a very successful property investor based in the UK. Over the past decade or so him and his partner, Rob Moore, have made their fortune buying, selling, refurbishing and renting property of all kinds. 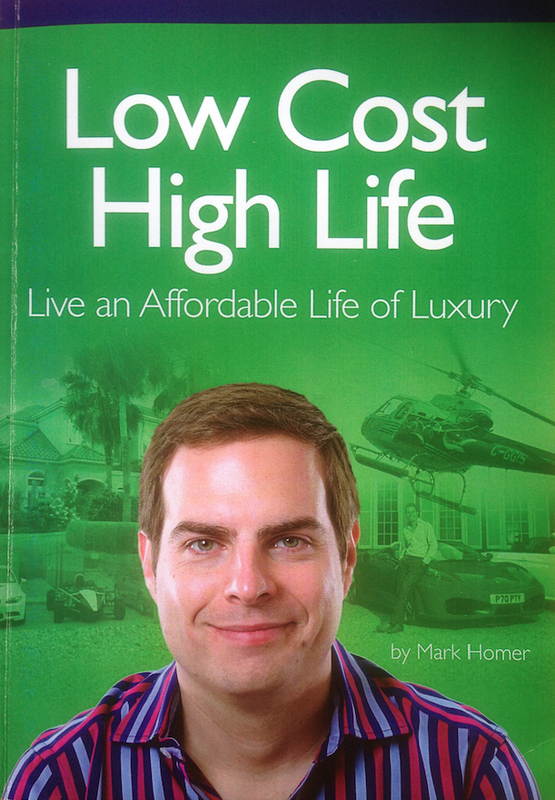 Mark’s book “Low Cost High Life” details his childhood experiences that gave him the mindset for success, the lessons learned along the way and the advice for anyone else to replicate. These are the lessons I gleaned from it, some I already learned from other authors but they bare repeating as that is how we learn best – repetition. 2. Learn to balance creating money and time equally in order to enjoy the independence true wealth brings. 3. Do not spend earned income on luxuries – it should only go in to either; living, saving or investing. Buy luxuries from passive income. 4. Understand the business you’re in as much as possible, it helps you remain passionate and spot opportunities. Temper your emotional urges with this knowledge to make rational decisions. 5. Get good at local property before considering overseas property. The laws and best practice may well be very different. 6. Networking events grow your network and that can be your best route to JVs, finance, expertise and latest investor trends. 7. Model those you admire that have been successful and made the mistakes. When walking through a mine field it’s best to follow someone else’s footsteps. 8. For maximum productivity stay fit and healthy. This will provide the energy and clarity of thought you need to focus and work effectively. 9. Put systems in place for everything, then manage the systems. 10. Keep 6-12 months operating cash at hand – ALL the time! 11. Invest for cashflow FIRST, and capital growth second. 12. Tap into the market’s perception of value in order to increase your price. 13. Get a PA asap. 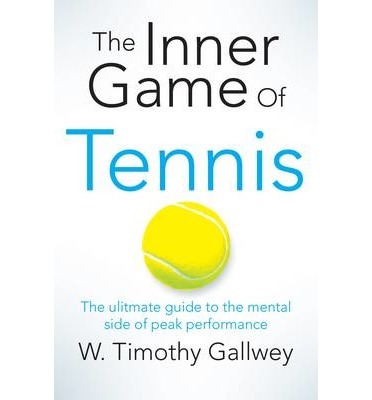 A friend recently suggested a brilliant book to me called “The Inner Game of Tennis” by W. Timothy Gallwey. Gallwey wrote the book back in the 70s as a summary of his own approach to the game of tennis as a player and as a coach. He went on to use these techniques to coach corporate executives, entrepreneurs and athletes from many different sports. 1. The ‘I’ and the ‘Myself’ are two separate parts of our mind. When we say “I was talking to myself” we are really talking about two very different aspects of ourselves. The ‘I‘ represents the conscious self that ‘thinks‘ it’s in control, and the ‘myself‘ is the unconscious self which is actually in control. The ‘I‘ always wants to assert itself over the ‘myself‘ – that is the ego. If we allow our conscious mind to dictate to our unconscious through negative words our unconscious actually takes on the ‘role’ of being that way (bad, useless, inconsistent etc.). 2. Any event is only ‘good’, ‘bad’ or ‘indifferent’ depending on our perspective – and we get to choose that. When describing our performance in any area of our life it’s helpful to use non-emotional adjectives to describe what’s happening. Avoid judgemental words like ‘bad‘. In order to allow ourselves to learn more effectively we must try to detach ourselves from the outcome, a bit like a laboratory assistant noting the results of an experiment – wishing it to be neither one way or the other. This approach helps build trust between our conscious and unconscious minds. This reduces negative associations such as “I always mess up my first serve on pressure points“. By saying it, we override our body’s ability to make the shot. 3. Trying too hard uses more muscles than required to perform in a particular way. This trying is controlled by the conscious mind and is a signal that it doesn’t trust the unconscious to let the body perform correctly. If our body has performed well in the past it will have stored that memory and can repeat it. By trying to control it we end up using too much energy and risk becoming fatigued prematurely. Also, by trying consciously we end up using muscles that weren’t involved in the correct performance thereby not performing in the same way as we need to. 4. To communicate effectively it’s best to use the ‘others’ primary language. When speaking to a French person it’s best to speak in fluent French in order to be optimally understood. Likewise, when speaking to the unconscious it’s best to speak in the primary language of the unconscious which was established in infancy; sight, sound and touch (mainly). Before a child understands verbal language it learns through its senses. Therefore, in order to learn effectively first watch someone else doing the activity correctly, then visualise yourself doing it. Then apply without trying to do it perfectly. Just allow your body to perform over and over without judgement. 6. When coaching physical activity first give technical instruction accompanied with awareness instruction. An athlete for instance, should be shown how to perform a move and then encouraged to feel which particular parts of their body are responsible for certain movements. Once they know the how, they can become aware of whether they are actually moving in that way. When they realise there is a fault in their movement they can notice and adjust when they visualise. If they try to adjust physically before they have performed it correctly they may end up firing the wrong muscle groups. Undesirable habits are the main cause for sub-optimal performance. Start an alternate habit and the old one will dissipate in its own time. Like a baby learning to walk after habitually crawling for months. At first walking is more difficult and clumsy than crawling, but in time, crawling becomes obsolete. In the book, Gallwey talks about tennis players creating interludes to distract them from thinking too hard. He would get them to concentrate on the seams of the ball (so they wouldn’t think about how they are hitting it), and then the bounce and hit each time on each stroke. By putting their attention on the interlude; bounce…hit…bounce…hit, they would have to allow their body to hit the ball intuitively without thinking. This is because our conscious mind cannot hold two thoughts at the same time. Gallwey’s realisation that competition was a good practice in order to achieve our true potential. Without it we are only shadow boxing. The competitor in this viewpoint becomes less an advesary and more a co-creator. They offer us the challenge to be the best we can be and we offer the same to them. This perspective allows us to see our competitors not as opponents but key players in our own development. I’m looking forward to seeing how I can apply these lessons to the physical and non-physical aspects of my life and would love to hear if you succeed in doing so too.